A slightly smaller compliment of ten teams took part in the annual Schooner Open Cash Spiel held at the club from January 20-22. This in no way diminished the entertainment value of the curling as the weekend saw a lot of very close games, many coming down to the last rock to decide the winner and a few even requiring an extra end, including the final game to decide the “B” division champ. The play got underway early on Friday with the 5pm draw seeing Schooner Skip Abbie Boudreau and his rink take on Schooner rival John Donovan with Donovan coming out on top. The early draw also saw Schooner’s Ray Cameron rink prevail over Sydney’s Kenny Keough and his squad. 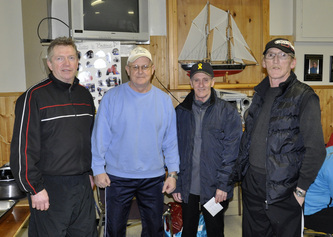 The middle draw at 7pm saw Schooner’s Brian Laughlin taking on an always tough rink in Kris Tynski from the Sydney Club. It was a tightly played, low scoring game that was broken open when Laughlin stole three in the later ends and held on for the win. Another close game was played in the middle draw with two Sydney clubs, Garth Nathenson and Kurt Roach, battling to the last stone before Nathenson’s rink emerged with the win. The evening’s final draw pitted Schooner’s rookie skip Wayne Bull Bonnell against a very tough rink skipped by women’s provincial championship hopeful Coralie Duchemin. Bonnell and his squad held their own through the game and took the play to Duchemin at times but ended up falling to the much more experienced rink after the final stones were thrown. Play got underway early Saturday with the first draw at 9am. Friday winners John Donovan and Ray Cameron squared off in the “A” division to see who would play the Laughlin rink in game to decide one of the two “A” division finalists. Cameron came out on top over Donovan and then went on to defeat Laughlin handily in an afternoon draw to ensure his team’s place in the “A” final on Sunday. 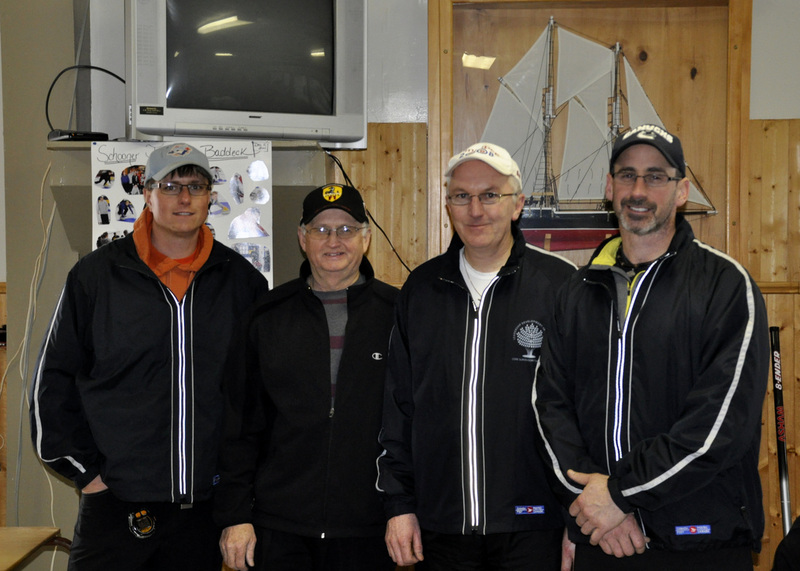 The early draw Saturday also saw “B” division action when Schooner’s Team Bonnell took on Sydney’s Kurt Roach with the winner then to take on Kris Tynski for a spot in the “B” finals. While Roach was victorious over Bonnell, he was unable to best Tynski, allowing Kris to move on to play in the “B” final on Sunday. Saturday’s 11am draw saw a match to decide Tynski’s opponent for the “B” championship when Schooner’s Abbie Boudreau took on Sydney’s Kenny Keough. Keough took the victory and ensured himself and his rink at least a second place finish in “B”. The other draw at 11am saw more “A” division action between Sydney rivals and Friday night winners Coralie Duchemin and Garth Nathenson who were battling for a place in Sunday’s “A” final against Cameron. Duchemin ended up victorious in another tightly contested game and went on to Sunday's "A" finally. Other play on Saturday saw “C” division action with six teams trying for a chance in the division final and a chance at some prize money. Garth Nathenson’s rink faced off against Abbie Boudreau, Wayne Bonnell and Brian Laughlin’s rink faced off and John Donovan took on Kurt Roach. Nathenson prevailed over Boudreau and Bonnell got by Laughlin in an extra end to move on to meet each other in a Sunday morning matchup to see who would make it to the “C” Final . Kurt Roach was victorious over John Donovan to move directly to the final and play for the “C” division title. 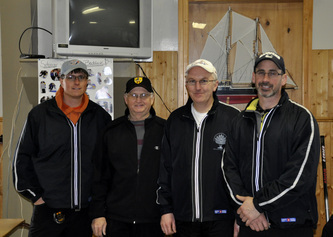 Sunday’s head to head game against Bonnell and Nathenson saw the Schooner squad prevail, making them the final team to move on and face Kurt Roach’s rink. A spiel like this at the Schooner Club is not possible without the tireless help of many volunteer’s. Thank you to everyone who took part in planning and running the spiel from the spiel coordinators for scheduling and organizing to the bartenders for keeping the refreshments coming to housekeeping for making and keeping the club looking great. A huge thank you to Darryl Crane who provided chili for the curlers to enjoy for Saturday's lunch and to all the Schooner Ladies who made and/or served the delicious food for dinner on Saturday and for lunch on Sunday. That really was the topper to a great weekend of curling. Your efforts certainly do not go unnoticed and are very much appreciated. 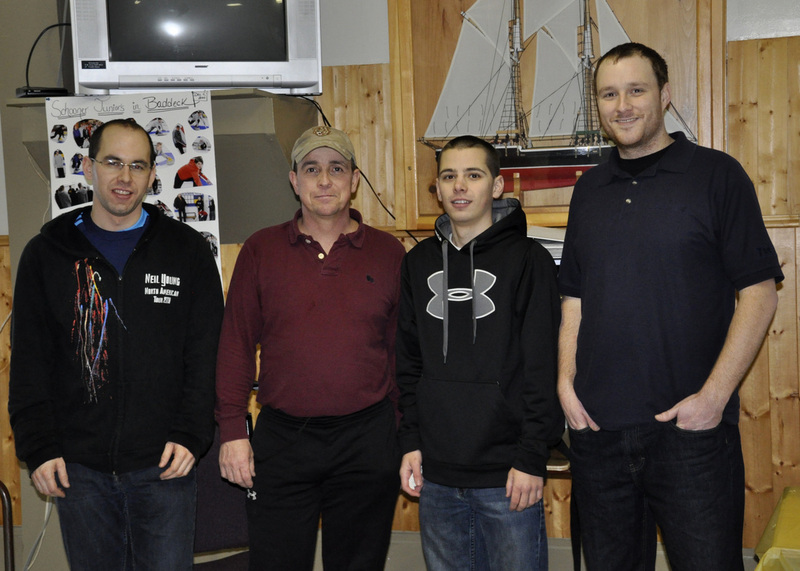 Hope to see you all next year at the 2013 Schooner Open Cash Spiel.